Bergamot, Clary Sage, Clove Bud, Lime, Eucalyptus, Juniper, Neroli and Rosemary. 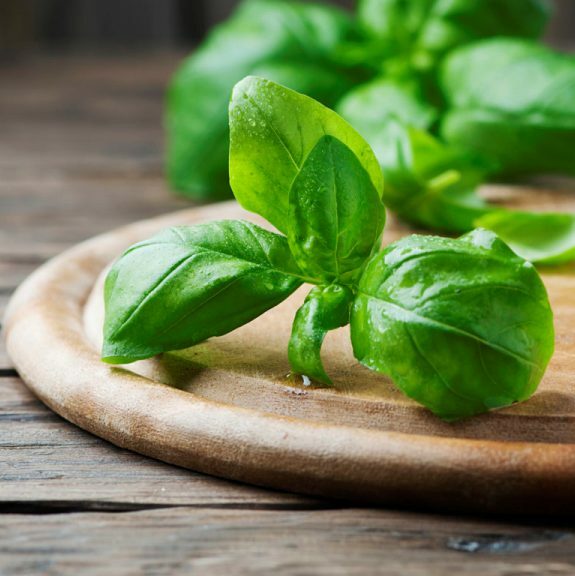 Basil has many health and medicinal benefits. It is about 3-5 feet tall. 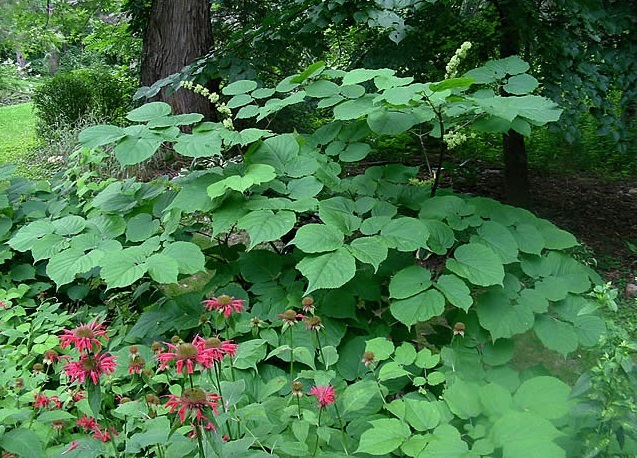 The leaves which are 3-5 cm long have powerful fragrance. Basils are of three types-black basil, white basil and camphor basil. 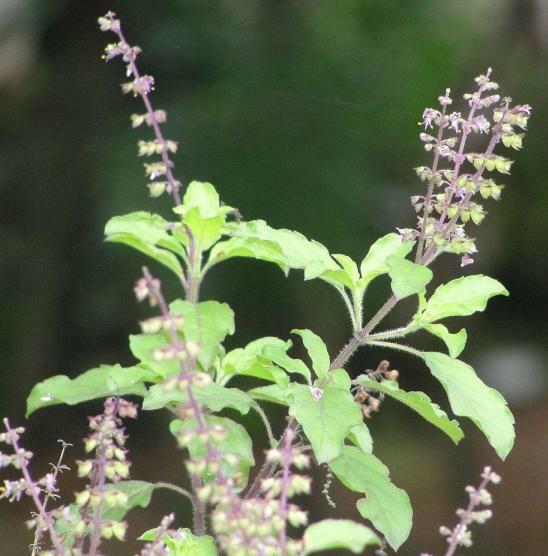 The flowering time of basil is winter and has seeds reddish-black in colour. Basil Herbs are very important plant for health point of view, especially for women who devote their time in kitchen. The basil plant has moderate height and good source of oxygen. It is one of the best sources of oxygen. 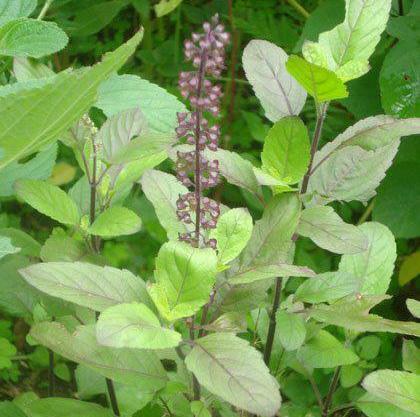 It is said by ancient Indian philosopher that a house without Holy Basil, is considered as dry and unhealthy as a crematorium. Growing of basil plant is extremely useful in cleaning the surrounding. Although basil grows best outdoors, it can be grown indoors in a pot and, like most herbs, will do best on a sun-facing windowsill. It should be kept away from extremely cold drafts, and grows best in strong sunlight, therefore a greenhouse or row cover is ideal if available. It can, however, be grown even in a basement, under fluorescent lights. If its leaves have wilted from lack of water, it will recover if watered thoroughly and placed in a sunny location. 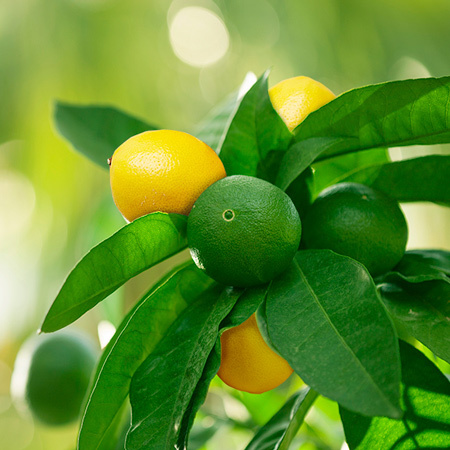 Yellow leaves towards the bottom of the plant are an indication that the plant has been stressed; usually this means that it needs less water, or less or more fertilizer. 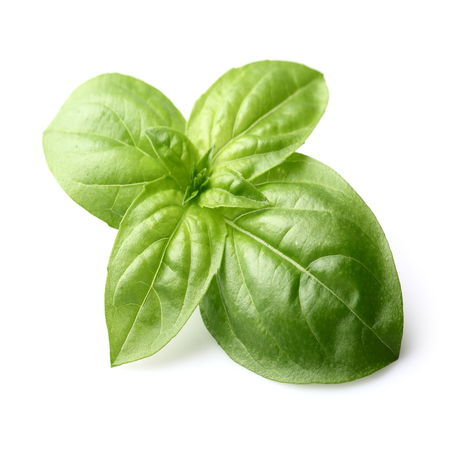 Basil is possibly native to India and has been cultivated there for more than 5,000 years. It was thoroughly familiar to the Greek authors Theophrastus and Discords. 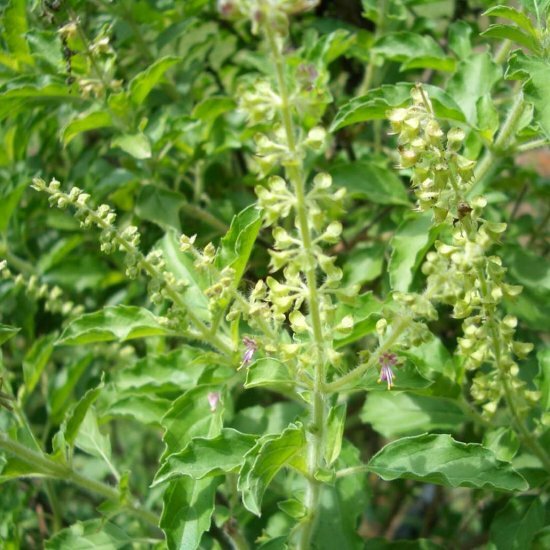 It is a tender plant, best known as a culinary herb prominently featured Italian cuisine, and also plays a major role in Southeast Asian cuisines of Indonesia, Thailand, Malaysia, Vietnam, Cambodia, Laos, and Taiwan. Depending on the species and cultivar, the leaves may taste somewhat like anise, with a strong, pungent, often sweet smell. IFRA recommends a maximum dermal use level for estragole of 0.01% in leave-on or wash-off preparations for body and face. 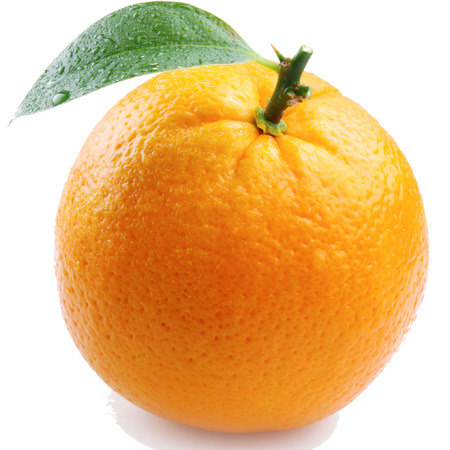 The EU does not restrict estragole. Carcinogenic/anticarcinogenic potential No information found. 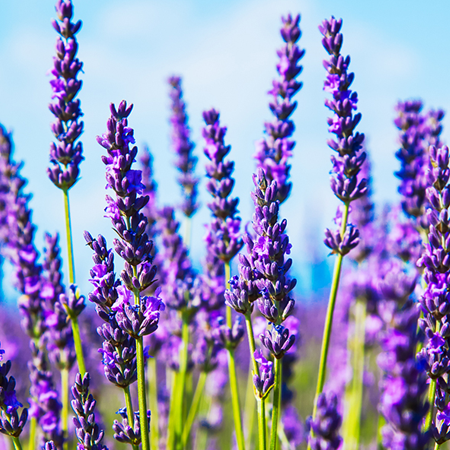 Neither linalool nor methyl cinnamate is genotoxic. 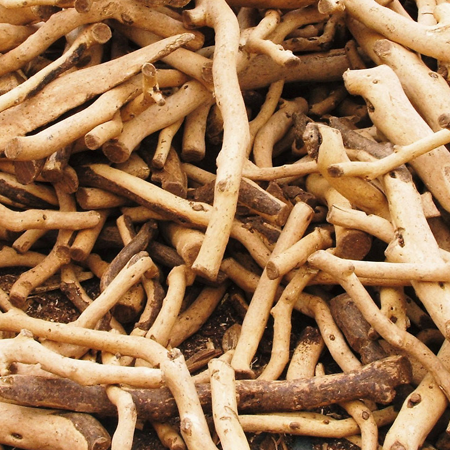 Estragole is a rodent carcinogen when exposure is sufficiently high. Basil oils rich in methyl cinnamate are occasionally produced. Methyl cinnamate chemotypes also exit.